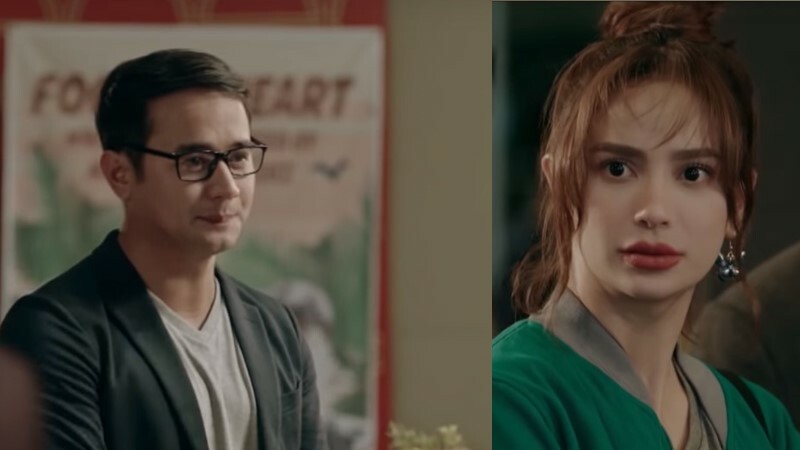 JM de Guzman & Arci Munoz team up for the first time via film "Last Fool Show"
QUEZON CITY, Philippines - April 16, 2019 - PRLog -- Some people fantasize about seeing their life turned into a film, with their favorite stars portraying them and the people in their lives. But what will happen if your life will be turned into a film and you must be the film's director? This is the theme of the romantic-comedy film "Last Fool Show" which stars real-life friends Arci Muñoz and JM de Guzman under the direction of Eduardo Roy Jr., and produced by Star Cinema, N2, and EMBA that will be screening in most countries worldwide via TFC at the Movies. "Last Fool Show" tells the story of Mayessa (Muñoz), an award-winning director who will take inspiration from her failed relationship with Paulo (de Guzman) to create her first romantic-comedy film. How does doing this film affect Mayessa's view on her failed relationship with Paulo? Will this lead them to have a second chance or will this forever end the love story they once had? Find out what will become of Mayessa and Paulo's story as "Last Fool Show" screens via TFC at the Movies in the following regions on these dates: in the Middle East starting April 18; in the U.S. & Canada starting April 19; in Paris, France on April 28; in Australia, New Zealand, Brunei, and Papua New Guinea starting May 2; and in Saipan starting May 3. For the cinema list, visit mytfc.com/lastfoolshow, emea.kapamilya.com, or TFC's official Facebook page applicable for your area. Connect with fellow global Kapamilyas and follow @KapamilyaTFC and @KapamilyaGlobalPR on Twitter and Instagram. Three of OPM's finest share the stage via "OPM Overload"